He is now on his final leg here in our country for a five-day visit (January 15 – 19). 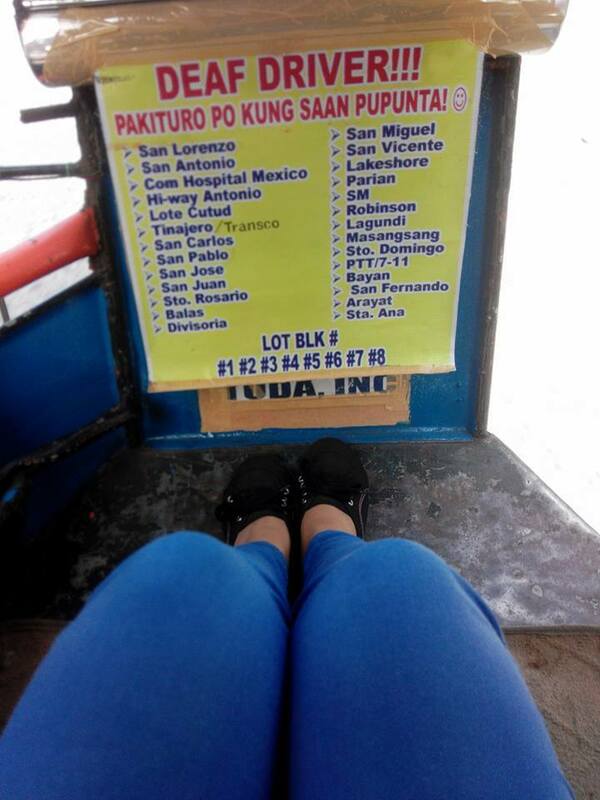 He has recently cut short his trip in Tacloban City, Leyte because of the impending typhoon Amang. 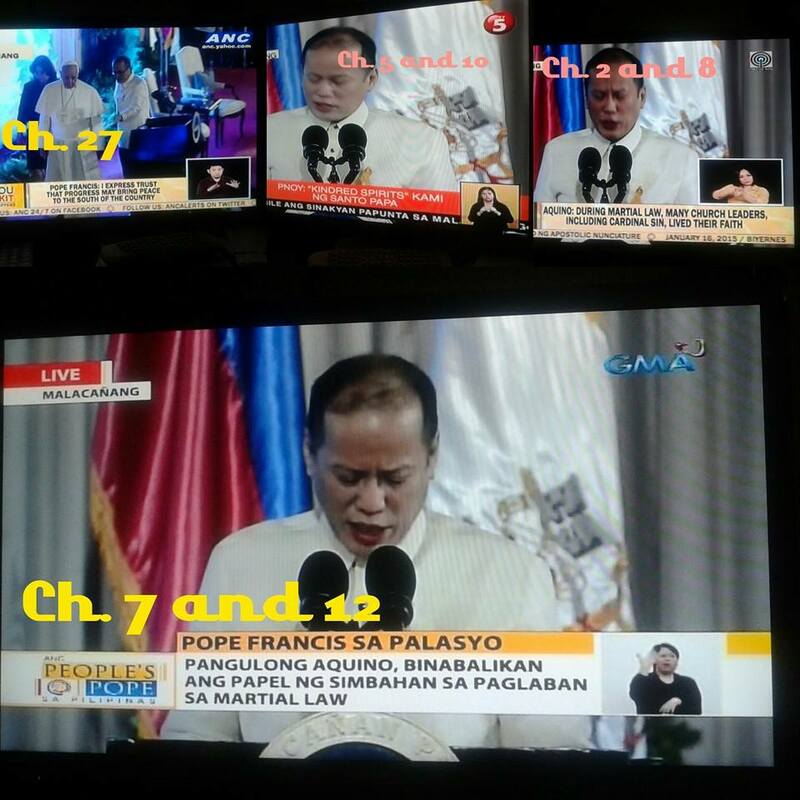 He will be officiating a mass at the Rizal Park later today. He made a genuine “I Love You” sign with a sincere smile, at the Mall of Asia Arena where he met with selected families and individuals. 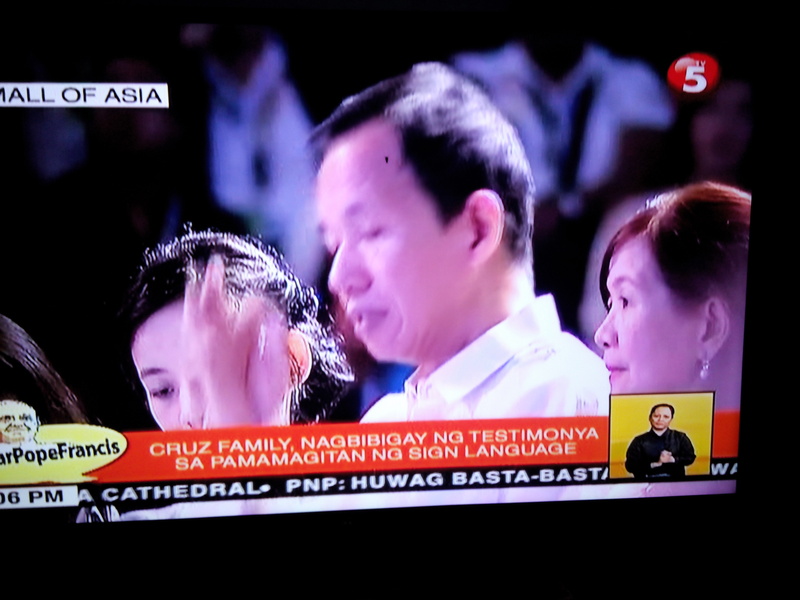 One of the three families who had an opportunity to express their gratitude for Pope’s visit comes from the Deaf group representing the Persons With Disabilities Sector. 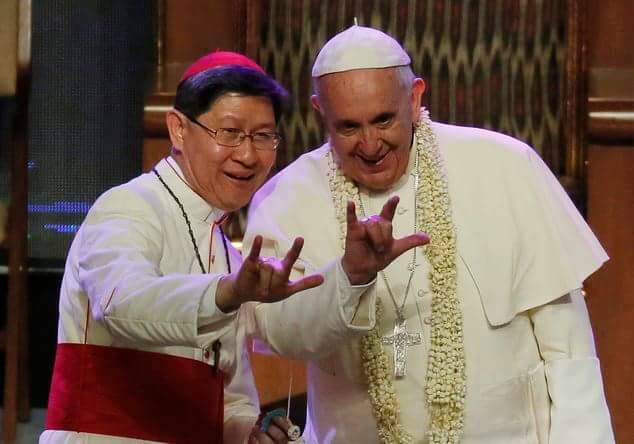 His name is Renato Cruz, a Cathecist and one of my friends from Philippine School for the Deaf and Catholic Ministry to the Deaf People. 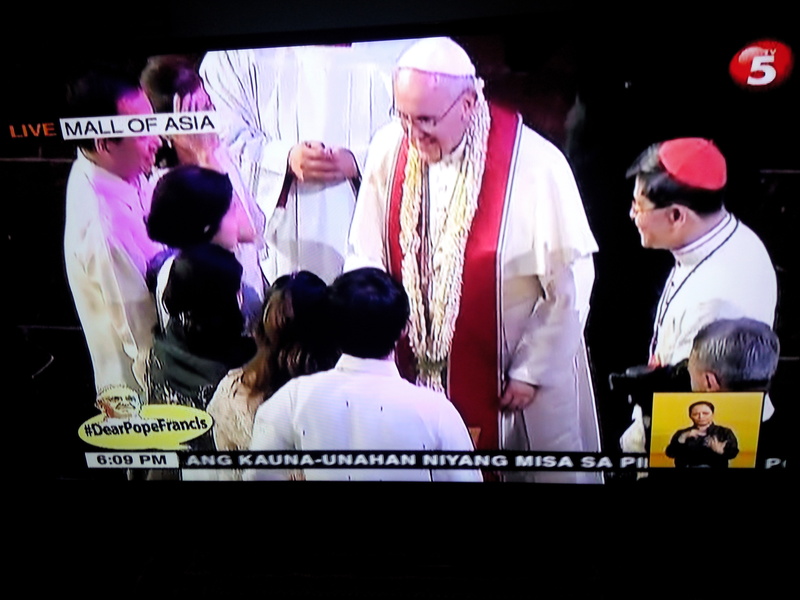 He was very fortunate to be chosen to personally meet and be blessed by Pope Francis. 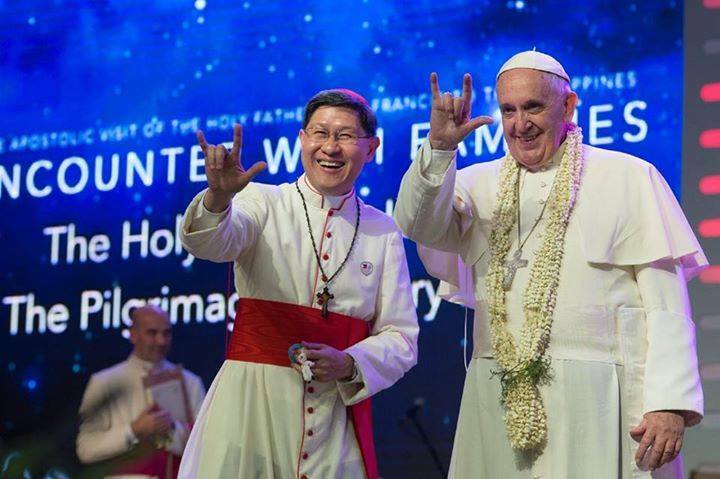 He told the Pope about his conviction as a deaf person in promoting the Catholic faith to his fellow deaf. Rene Cruz gives his message in sign language. Pope Francis personally blesses Renato and his family. 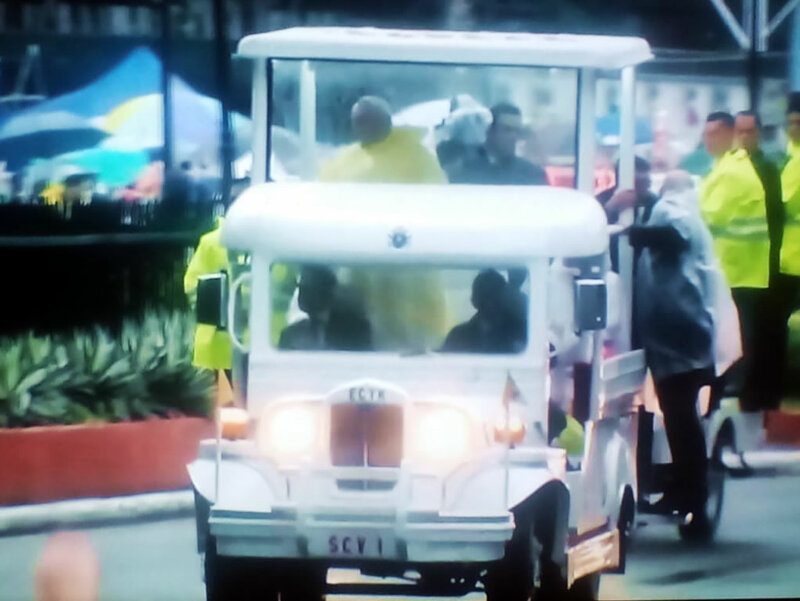 Pope Francis waves to the faithful riding an iconic Filipino Jeepney converted into a popemobile on the way to Quirino Grandstand to officiate the mass.